Women and girls from some of the world’s least developed countries are sharing their experiences of significant life milestones — from their first day in school, to their first period and job. The stories were collected by the United Nations Population Fund (UNFPA) and UN Women. 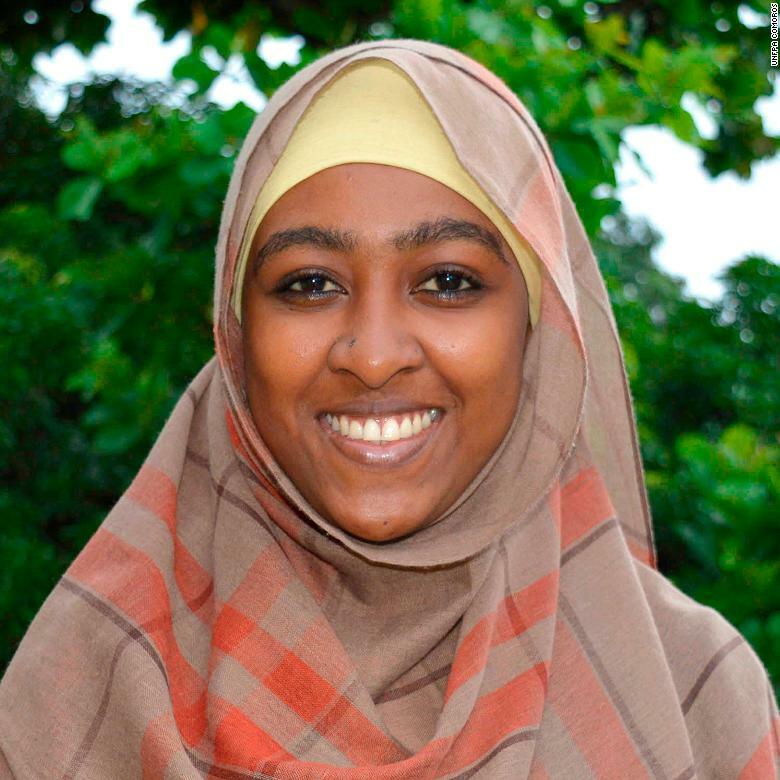 Editor's Note: CNN is committed to covering gender inequality wherever it occurs in the world. This story is part of As Equals, a year-long series. Takia Ali Mohamed Abdallah, 22, from the island of Grande Comore in Comoros, couldn’t wait to start school. Comoros, an archipelago of islands in the Indian Ocean off east Africa, is one of the world’s least developed countries, plagued by overpopulation, poor harvests and severe unemployment. Education is officially compulsory for children from 6 to 16, but a large portion of the country’s children receive little or no schooling. While 83% of girls enroll in primary school, compared with 88% of boys, that number drops to 45% in secondary school. “I was very happy and did not stop smiling in the street because I was going to school,” Takia said, recalling her first day. “Once at school, I was scared and shy to see all those children I did not know well dressed and some of them came from very rich families. They came with little toys and stuff that I did not have. Already some of them already spoke French and I did not know a word,” she added. Only half of the population is literate in French, which is still the official language of government administration in Comoros decades after the islands gained independence. 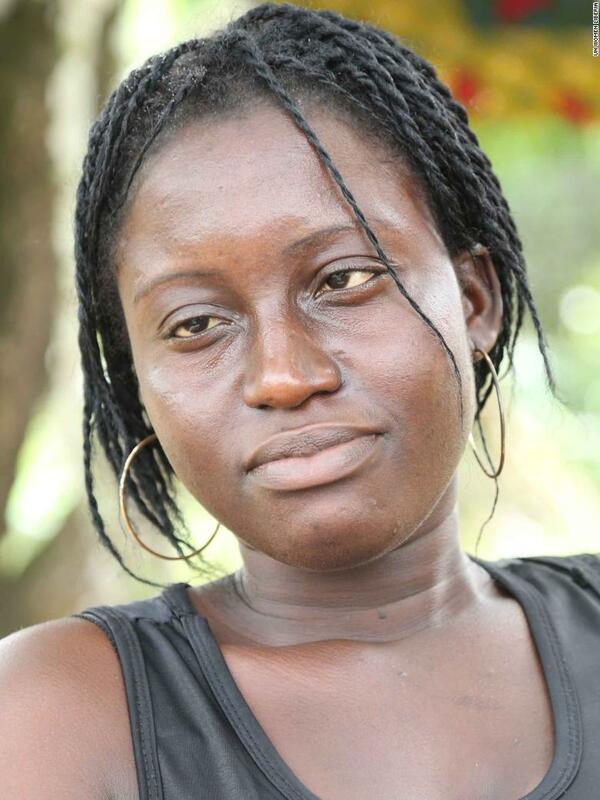 — Takia told her story to UNFPA. In 1998, Lerato Seqhomoko had to leave school because her mother could not afford the fees. She ended up repeating grades eight and nine. In 10th grade, she got glaucoma and lost her eyesight completely. Lerato was out of school for five years. “I wanted to go to school but didn’t know how,” Lerato, now 32, from Leribe, Lesotho, said. In Lesotho, a small country completely surrounded by South Africa, 42% of girls enroll in secondary school, about half of the number enrolled in primary school. “The way you see things is different when you are educated. The ethics, principles and guidelines you learn are important. Education makes us mature,” Lerato said. — Lerato told her story to UN Women. “On my first day in school, I was happy because it was an opportunity for me to make new friends. 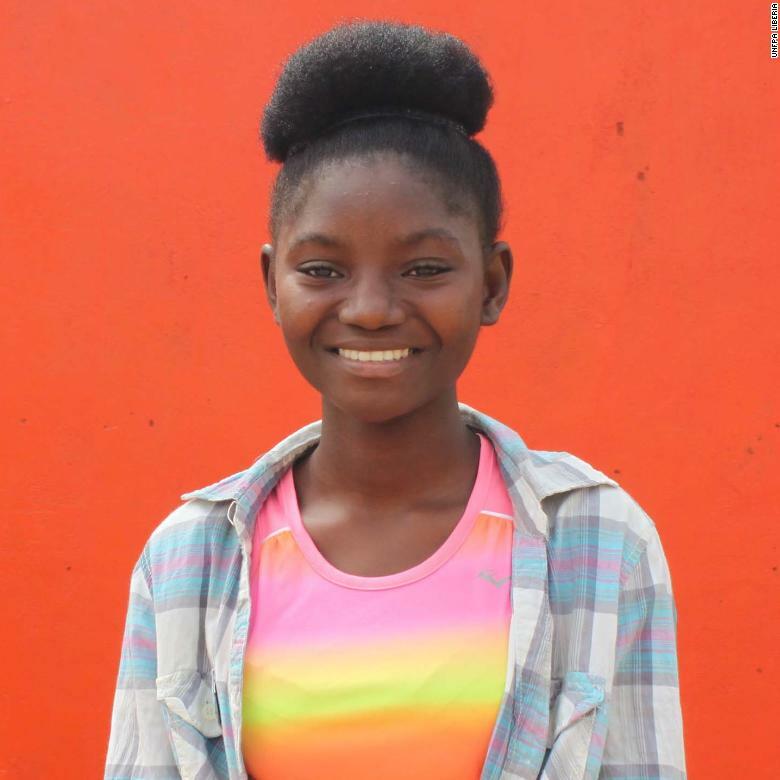 What I remember most is the kindness of a girl who is now my best friend,” 14-year-old Brenda Pauline Gussin, from Buchanan, Liberia, said. Liberia’s education system was unstable for decades because of the civil war, during which many children were unable to ever start school. Today, 37% of girls enroll in primary school compared with 39% of boys, according to UNFPA. In secondary school enrollment falls to 15% of girls and 18% of boys, according to UNICEF. And this is reflected in the literacy rate -- just 37% of girls, compared with 63% of boys, aged 15 to 24 are literate. “When you are in school, you experience a lot of things. You have the opportunities to learn, associate with others. School also prepares you for the future,” Brenda, who is now in the ninth-grade, said. — Brenda told her story to UNFPA. Today, 37% of girls enroll in primary school compared with 39% of boys, but that number drops drastically in secondary school to 15% of girls and 18% of boys. And this is reflected in the literacy rate -- just 37% of girls aged 15 to 24 are literate, compared with 63% of boys, according to UNICEF. “When you are educated, you will not be easily toyed with. When a girl or woman is educated, she tends to be a pillar that her family can lean on. She can also fend for herself. People are going to respect you once you are educated,” Dearest said. — Dearest told her story to UNFPA. Much of Lango Tarpilan’s childhood was affected by Liberia’s civil war, which robbed many in the country of an education. Now 26, Tarpilan has a 3-year-old son and is studying at the Pimah College of Nursing in Paynesville, outside Liberia’s capital Monrovia. She runs her own soap-making business on the side, which helps her pay school fees and take care of her son. “When you are educated, especially for a woman, you are respected and empowered to advocate against some of the inequalities in society – otherwise, your life will be very difficult,” Tarpilan said. — Lango told her story to UN Women. Liberia’s education system is still recovering after years of instability during the country’s civil war. Today, 37% of girls enroll in primary school compared with 39% of boys, but that number drops drastically to just 15% of girls and 18% of boys enrolled in secondary school. This is reflected in the literacy rate -- just 37% of girls aged 15 to 24 are literate. “School can give knowledge and wisdom. It can open up your mind to know to your rights, who you are; who you want to become. It helps to define your personalities and your contributions to society. It can change your way of thinking,” Shelia, now in ninth-grade, said. — Shelia told her story to UNFPA. In Liberia, 37% of girls enroll in primary school compared with 39% of boys, but that rate drops drastically in secondary school, with 15% of girls and 18% of boys enrolled. This is reflected in the literacy rate -- just 37% of girls aged 15 to 24 are literate, compared with 63% of boys. “Education is important because when you are educated, people won’t look down upon you. When you are educated, you will be able to do things for yourself - you will not depend on others for survival,” Vanessa added. — Vanessa told her story to UNFPA. 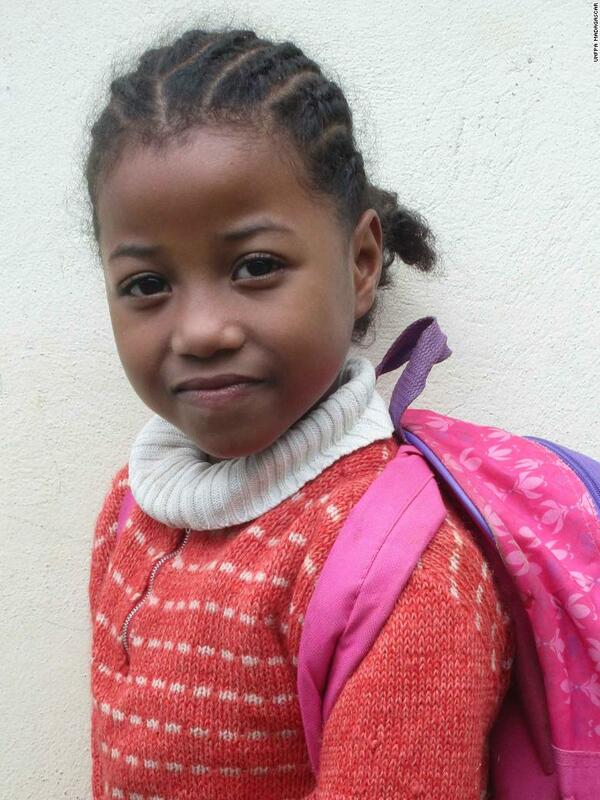 Soavy, 6, from Madagascar’s Atsimo-Andrefana region, just started school. The youngest of seven siblings, she’s been wanting to study for as long as she can remember. In Madagascar, 78% of girls and 77% of boys enroll in primary school, according to UNFPA. But that number drops in secondary school, with only 32% of girls and 31% of boys enrolled. — Soavy told her story to UNFPA. 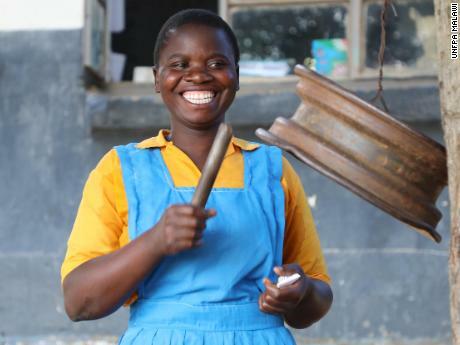 “I was 6 years old then and it took me about 15 minutes to walk to Makankhula primary school,” 19-year-old Fostina Nkhoma, from Malenga village in Malawi’s Dedza district, said, recalling her first day at school. She remembers arriving without a uniform or notebook, not having eaten breakfast that morning. Having missed several years when she became pregnant and dropped out of school. Nkhoma has since re-enrolled and is now in seventh-grade. 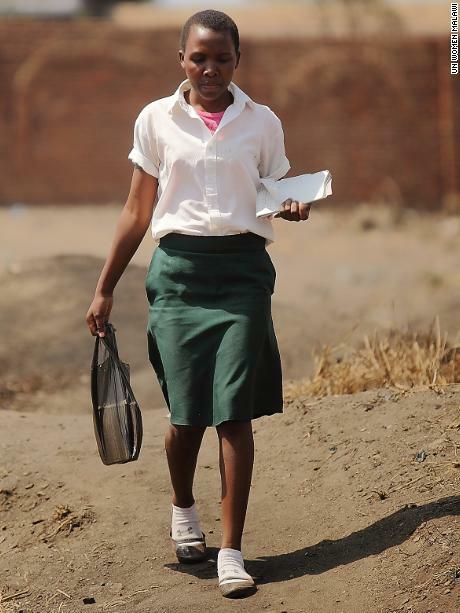 Very few girls make it to secondary school in Malawi, with only 33% enrolling. 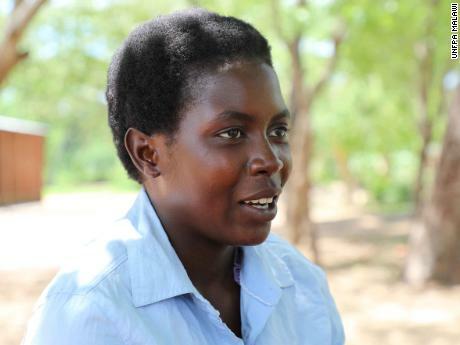 Many girls, like Fostina, drop out of school because of pregnancy or for marriage. This is often encouraged by parents, who can no longer afford to pay for school fees or supplies. 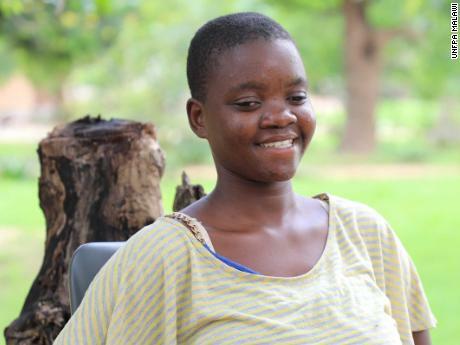 “I find education quite a good thing because I am sure some day, I will be able to support myself and become an independent woman,” Nkhoma says, adding that she’s determined to finish her education. “You know, if you stay at home, you go to work in the garden every day and the heat makes you not look nice. For me, I take a bath every morning and walk to school and makes me still look younger than my friends of the same age but are married and work in the garden often, they look older than me,” she said. — Fostina told her story to UNFPA. 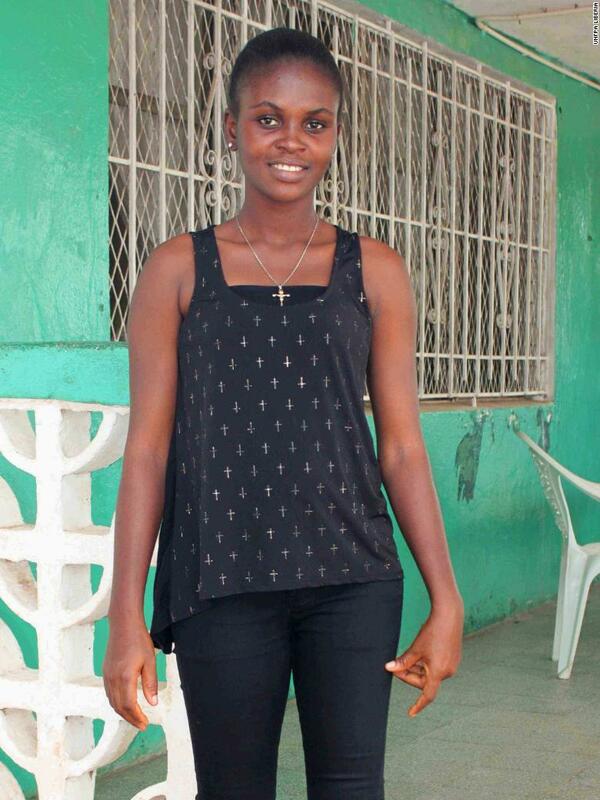 Linda Kanenula, 18, has dreams of becoming a nurse. Now in her last year at Tsabango Community Secondary School in Lilongwe, Malawi, she said she will never forget her first day at the school. “On the first day of school, my drama teacher wrote different characters on the board. She told us to act out the role of the character we had selected. I immediately chose to be a nurse. 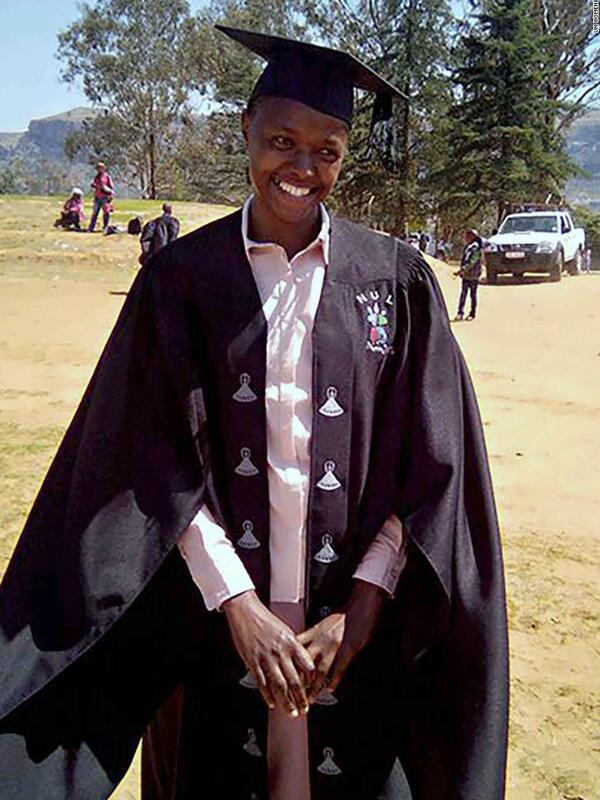 My teacher said I could be anything I wanted to be,” Kanenula said, adding that this motivated her to reach for more than a school certificate. Last year, Kanenula was given the lead role in a school play for the first time. “The play was about ending child abuse at school and home. That play freed me,” she said. Child abuse, sexual exploitation and child labor are serious problems in Malawi, particularly among girls, according to UNICEF. Very few girls make it to secondary school, with only 33% enrolling. Many girls drop out of school for marriage. This is often encouraged by parents, who can no longer afford to pay for school fees or supplies. — Linda told her story to UN Women. 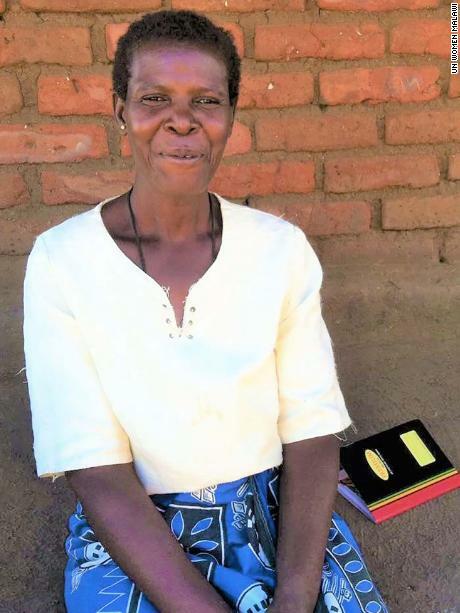 Loveness Moses, a 72-year-old mother of 10, has just started school. After attending a UN-supported session on women’s empowerment, Loveness was identified as a potential lead farmer in her village of Nankumba, in Malawi. But she had to tackle another obstacle first: she couldn’t read or write. Growing up, Loveness’ mother permitted only her sons to attend school, saying that girls should stay at home, tend the farm and look after the younger children. “When I became a mother, I ensured that all of my 10 children, girls and boys alike, attended and completed primary and secondary schools,” Loveness said. On her first day at an adult literacy classes last year, she was nervous but excited. “I was surrounded by other mothers, fathers, grandparents who had a hunger to learn,” she said. — Loveness told her story to UN Women. On her first day of primary school, Martha Katola, now 17, remembers walking the five minutes from her village in Malawi’s Salima district and arriving without a uniform or packed lunch. “When I came to school, the head teacher asked me to put my hand over my head and touch the ear on the other side of the head to check if I was at the appropriate age to start school. I did not manage but he let me in,” she said. 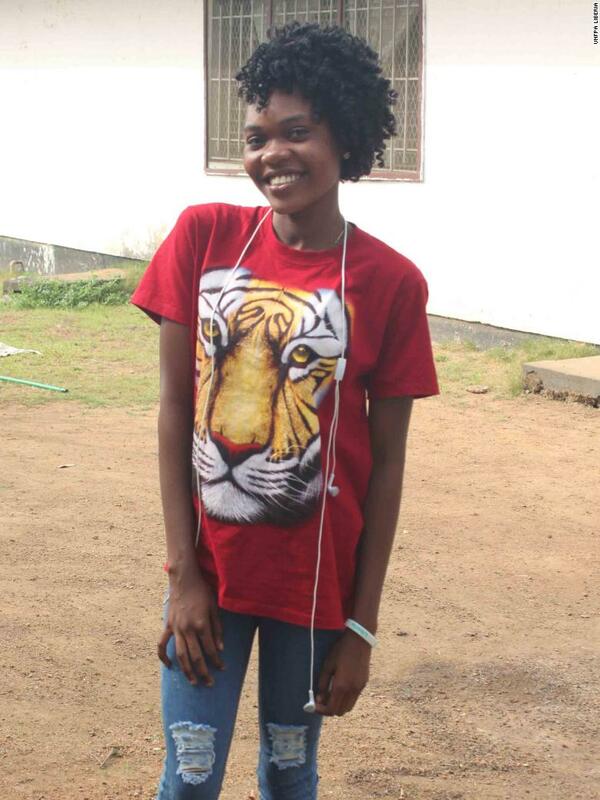 Martha, now in form three at Parachute Community Day Secondary School, is the second child in a family of five. She wants to be a soldier when she finishes school. “I have learned to sew sanitary pads and also made new friends in the course of my education” she said. — Martha told her story to UNFPA. “I wore a red dress on that day,” Promise Kamanga, an 18-year-old from Kambwiri in Malawi said, recalling her first day of school. She remembers meeting her first friend at school, Gloria, and playing a game called “champi” at break time. 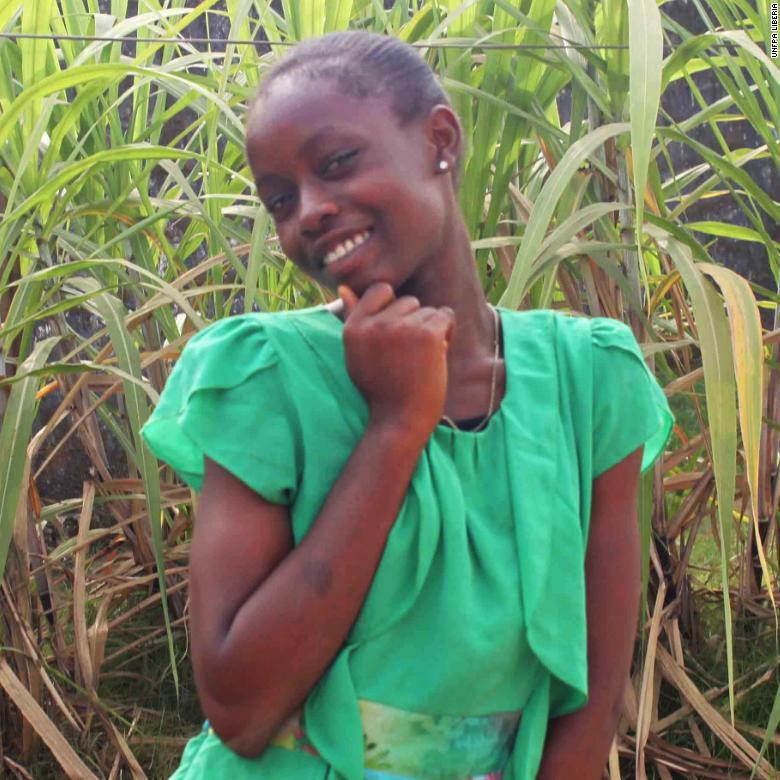 Now in eighth-grade at Katelera Primary School, Promise’s favorite subjects are English and mathematics. She wants to be a journalist when she completes school. “School creates an opportunity for me to make good friendships and learn different talents,” Promise said. Promise added that she hopes to finish school and become a role model to other girls in her community. Only 33% of girls enroll in secondary school in Malawi. Many girls drop out of school because of pregnancy or to marry. This is often encouraged by parents, who can no longer afford to pay for school fees or supplies. — Promise told her story to UNFPA. 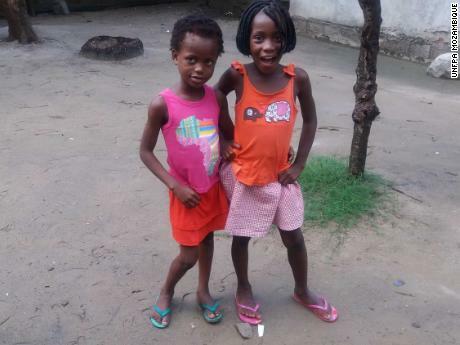 Lily and Beatrice, both 7 years old, just finished their first year in school in Quelimane city, Mozambique. They said that they learned the vowels in the alphabet and how to count to 20. They also said they sang and danced in school, breaking into a singsong about a doll. The girls appealed to children not yet enrolled in school to attend, saying that they would like to teach them how to recite their vowels too. While primary school enrollment is high for both boys and girls in Mozambique, many students drop out in secondary school, with only 18% of girls and boys enrolling, according to UNFPA. Child marriage and early pregnancy are often a contributing factor in forcing girls to quit school. In a 2015 survey by Mozambique’s health ministry, 46% of girls 15 to 19 years old were either pregnant or already mothers. — Lily and Beatrice told their story to UNFPA. 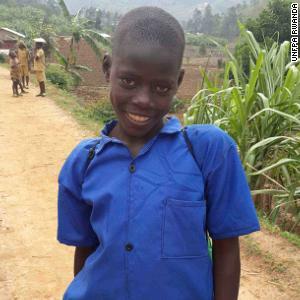 “I started school at an older age compared to others due to lack of school materials and fees,” Keza Chantal, 9, from Minazi Village in Rwanda’s Northern Province said. Keza, who will be entering fourth-grade in the 2018 academic year, is one of seven children. Her father works in construction and her mother is a housewife. “I went to bed dreaming of the adventures that would take place the next morning. It was very early morning when my mum and I started the journey to school. I don’t remember how long we walked but I was excited to leave home as it was a relief from heavy work, including fetching water,” Keza said. When it comes to equality between men and women, Rwanda, one of world’s least developed countries, was ranked as the fourth-best globally by the World Economic Forum in 2017. The country has made big strides in promoting gender equality, promoted by the government. And this has shown in its educational representation. In Rwanda, 95% of boys and 97% of girls enroll in primary school. — Keza told her story to UNFPA. The As Equals reporting project is funded by the European Journalism Centre via its Innovation in Development Reporting Grant Programme. Read more stories like this.